Late last week, Congress approved a $1.3 trillion omnibus spending bill. The votes for and against this bill did not fall along partisan lines. Democrats and Republicans could be found on both sides of the issue. This difference of opinion on this bill was reflected in the split vote it received from the Arkansas congressional delegation. In the House of Representatives, only Rep.
Bruce Westerman opposed it. The others – Rep.
Rick Crawford – voted for it. Rep. Womack played a small role in advancing the bill for consideration. He was presiding over the House of Representatives when the vote on the rule governing the bill’s consideration came up for a vote. This rule only allowed 24 hours for debate and deliberation. Jake Sherman of Politico described the situation in a tweet: “Something extraordinary just happened on the floor. Republicans closed the vote while democrats were yelling they wanted to vote. Steve Womack — budget chair — was in the speakers [sic] chair. Rule passes 211-207. This on top of less than 24 hours to read a bill.” The final tally in favor of the bill was 256-167. 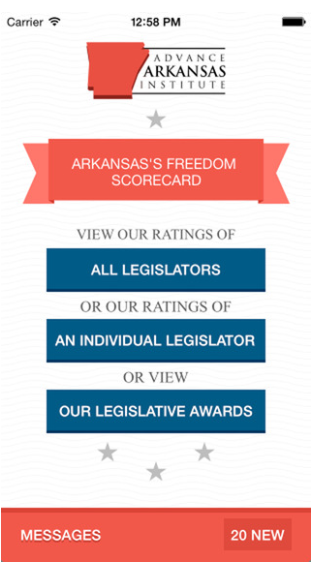 …provisions included in the bill will help move important Arkansas projects forward. 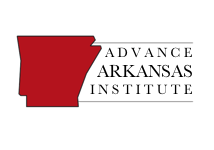 It includes funding to complete efforts to decommission and dismantle the Southwest Experimental Fast Oxide Reactor (SEFOR), a provision that will allow I-57 to connect between Arkansas and Missouri and support for critical national defense programs based in Arkansas. President Donald Trump initially threatened to veto the bill, but then reversed course and signed it on March 23. This bill funds the federal government through the rest of the fiscal year, avoiding the need for short-term continuing resolutions to keep the government open. One of the complaints about the bill made by President Trump is that it appropriates $1.6 billion for border security but language specifically precludes those funds from being used for a border wall. Conservative budget hawks are unhappy that it contains big spending increases, including $78 billion for defense and $52 billion for domestic programs. Chris Edwards, budget analyst for the Cato Institute, said, “Defense and nondefense spending levels are jacked up, budget caps are blown through, and the deficit is soaring.” Conservative priorities, such as cutting funding for the Corporation for Public Broadcasting (CPB), were ignored (the CPB, in fact, received $465 million in federal money). There were also complaints from some conservatives because the bill did not defund Planned Parenthood nor did it cut off funding for “sanctuary cities” that refuse to cooperate with federal immigration authorities. Contrary to some Internet conspiracy theorists, President Trump cannot re-allocate money from this bill for a border wall. There is an absurd claim floating around that because the president invoked some emergency powers and because Congress did not pass a budget resolution, the president can spend money from the omnibus however he wants. This is a blatant misunderstanding of how the budget and spending process works. The omnibus bill is law, and the president is bound by its language and any restrictions in that language. He cannot refuse to spend funds if he does not agree with them. He cannot direct the military to build the border wall. 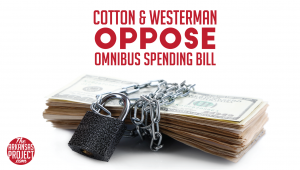 Opinions will vary about whether voting for the omnibus spending bill was the right thing to do or not. My own opinion is that Sen.
← Academic Freedom under Attack? The problem I have with the omnibus spending bill is not what is in it or not in it, but is how it was rammed thru congress! The leaders of the house ran another bill thru committee, then once out on the floor, they replaced the entire text of the bill with more than 2000 pages of the omnibus bill and called for a vote on the bill almost immediately. This had the effect of bypassing almost ALL of the elected representatives of the people in America because no one had a chance to read and evaluate the bill. It was then passed to the senate where a vote was called for in less than 2 days…gain bypassing almost all of the elected senators of the people of America! This bill was passed virtually NO representation of the American people either directly or via their elected congressional representatives! That is legislation without representation! It was the same with the Affordable Care Act although I didn’t think of it then. Ramming legislation thru without giving the people’s elected representatives time to read and evaluate it is NOT RIGHT!!! It’s our country and our government! Passing laws without our effective representation is WRONG!!! This kind of thing must be stopped!